It is not my intention to start a debate. 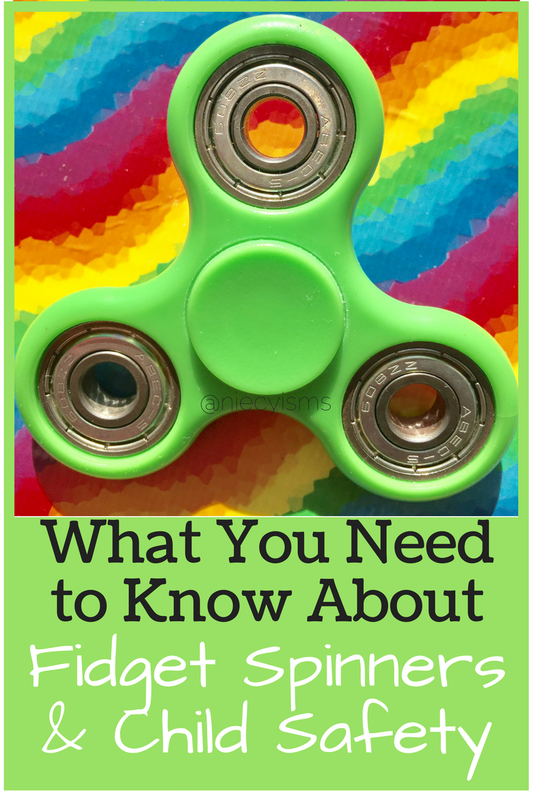 There are pros and cons involved in practically every situation, and fidget spinners, currently a trending hot topic, are no exception. Regardless of our personal opinions on the significance of the use of fidget spinners for improving focus capabilities in education, the more pressing issue is always product safety concerns. Contrary to common misconceptions, not all fidget spinners are created the same. 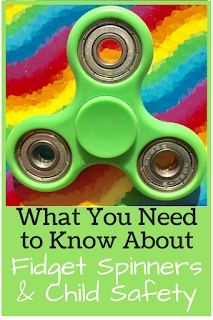 Take action to ensure the safety of your children by sharing this information on what you need to know about fidget spinners and child safety. Long before a fidget spinner ever twirled about on my son's little fingers, I had already obtained a fair amount of knowledge about their relevance from my newsfeed and general curiosity. For the record, we only have a fidget spinner due to the fact that the unfocused previous owner of said fidget spinner left it at the table we grubbed at in our local Panera. I did not purchase a fidget spinner, we have absolutely no emotional or physical (our original was swapped on the school bus ride home) attachment, it's one of many passing trends. We've seen them everywhere, even spotted recently at church, fidget spinners are the latest must-have gadgets. Trends aside, child safety stand as top priority with all products placed within a child's environment. 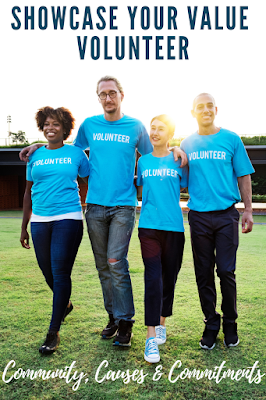 Industry experts are advising parents and caregivers to take safety precautions to ensure children avoid potential hazards. The Toy Association is encouraging families to heed important safety guidance, outlined below, regarding children's use of fidget spinners. 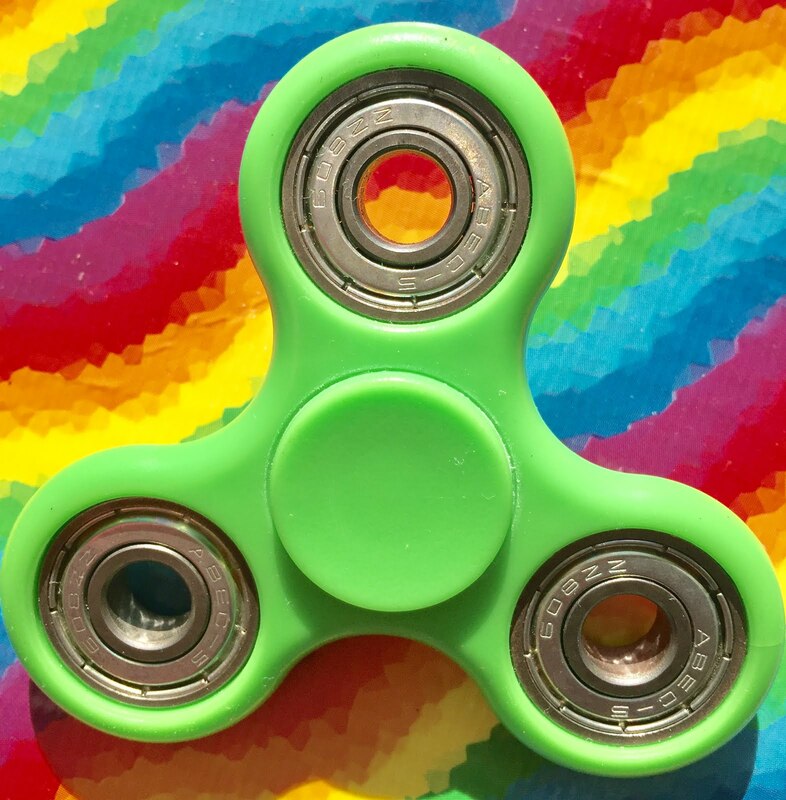 "Fidget spinners are a huge craze right now, sparking debate across the nation about the safety of these products," says Joan Lawrence, The Toy Association's "Toy Safety Mom" and senior vice president of standards and regulatory affairs. "We encourage parents to always supervise their children, and ensure they are playing with spinners in the way they are intended to be used. A good rule of thumb: if a fidget spinner doesn't look sturdy or doesn't have any age or safety labeling, don't risk it with your child." Make sure fidget spinners are age-appropriate. Always follow age labeling, and if the spinner does not have age guidance on its packaging, don't buy it. Never give children under three years of age (or those who still put toys in their mouths) any items, such as fidget spinners, that have small parts. Children who are old enough to play with fidget spinners should be taught how to play with them correctly—and instructed never to put them in their mouths. Small batteries are required to be secured so that a tool or coin is needed to access the battery compartment. Fidget spinners with a light-up feature might utilize small batteries that can be harmful if accidentally ingested. Avoid giving a child a light-up spinner if it does not also have a locking mechanism on the battery compartment. Check fidget spinners periodically for damage. Broken items should be discarded and not left in a child's environment. These and other important safety tips for families are available at PlaySafe.org, The Toy Association's trusted resource for parents and caregivers, and www.thegeniusofplay.org.